UPDATED: 'Top Gun 2' Tweet − Is Val Kilmer Ahead Of Or Behind The Curve Here? Also in Tuesday morning's round-up of news briefs: Shameless star Emmy Rossum set for Hilary Swank project; Colin Firth is set for a charity gala at the upcoming Dubai International Film Festival; And Oscar submissions for Best Animated Feature are almost due. Also in Tuesday afternoon's round-up of news briefs, anti-Obama documentary 2016 continues its box office surge after the weekend as Republicans gather for their convention. Scott Pictures teams with Exclusive Media for new sales label. Venice Film Festival opener gets a sale. And Tony Scott's family sets up a scholarship. Tony Scott did not leave a reason for his suicide. The news came Friday from the Los Angeles County coroner's office, which said that notes left behind by the Top Gun filmmaker did not give a motive for his self-inflicted death south of Los Angeles last Sunday. Also in Tuesday morning's round-up of news briefs, the New York Film Festival will debut a portion of a new Oliver Stone project. Paramount nabs Kevin Costner for Kenneth Branagh project. Jim Carrey is being courted for super-hero project. And Italian television warns of a "racy" Venice lineup. Tony Scott apparently had been diagnosed with inoperable brain cancer, preliminary reports have said. The Top Gun director died Sunday after jumping from a bridge in near Los Angeles. Tragic news: British filmmaker Tony Scott, who directed films including Top Gun, Crimson Tide, Man On Fire, The Taking of Pelham 1 2 3 and 2010's Unstoppable, died today after jumping from the Vincent Thomas Bridge between San Pedro and Terminal Island, multiple sources confirm. "Scott, 68, climbed a fence on the south side of the bridge's apex and leapt off 'without hesitation' around 12:30 p.m., according to the Coroner's Department and port police... A suicide note was found inside Scott's black Toyota Prius, which was parked on one of the eastbound lanes of the bridge," reported The Daily Breeze. Ridley and Tony Scott know a thing or two about indelible movie scenes. So it's not surprising that the filmmakers behind, respectively, the chest burster scene in Alien and the "Bela Lugosi Is Dead"-accompanied blood-drinking scene at the opening of The Hunger would rely on an iconic single image to connect their A&E Network reboot of Coma to Michael Crichton's original 1978 movie adaptation of Robin Cook's novel about organ harvesting. 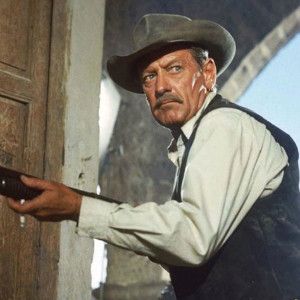 Fans of Sam Peckinpah's The Wild Bunch, steel yourself: The guy who last put Denzel Washington on top of a runaway train (and made bank at the box office doing so) wants to remake the groundbreaking 1969 Western. Deadline reports that director Tony Scott -- whose most recent film was last year's Unstoppable -- is negotiating to reboot the classic Peckinpah film. He also wants to remake his own Top Gun, so clearly nothing is sacred. Read the news after the jump and weep into your cowboy boots.